Online gambling is gaining wide acceptance worldwide. It is now considered by many to be their favorite pastime as a different sort of entertainment and amusement.It is some kind of a “craze”, mania or frenzy in the e-gaming world in e-casinos and online gambling. Instead of arranging for wire transfers or facing blocks on your credit card, there is another method of paying for online gambling. This is in the form of a prepaid card that is similar to paying cash online, called Paysafecard. A Paysafecard is a prepaid card that permits users to play and gamble online and gain access to major online casinos across the globe right from your own PC or mobile phone. A Paysafecard can allow you to make ecash deposits into a gambling account anytime online. It is so easy and convenient to use. It is safe, accessible and you can remain anonymous by choice. 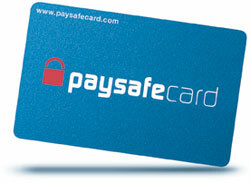 Paysafecards are available in retail shops in many countries worldwide in values of 10, 25, 50, and 100 EUR. When the amount payable is more than the total value of your Paysafecard, you can easily purchase an additional card to cover all payments. This method is safe and convenient to use with all the anonymity of a John Doe or a Jane Doe thing. Paysafecard is one of the leading prepaid methods used across Europe for online gaming and in online casinos. It is widely accepted by Europeans and it is now gaining popularity elsewhere. 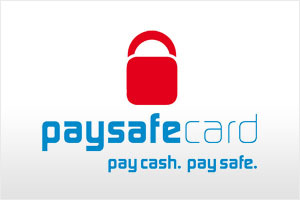 Anybody can purchase a Paysafecard from shops all across Europe. It is fast, easy to manage, and hassle-free, and contains no personal information related to the card holder. When purchasing a Paysafecard, one only needs to select the price of the card and type in the PIN-code to activate online gambling. For added security, you may opt to create a password for card accessibility. Check the available payment methods at your chosen online casino or gaming site to ensure they accept Paysafecard, then follow the simple instructions set out on the website to fund your account.